I was elected as a member of the Council in May 2007. I am married with one son. I was born in Gateshead and have always lived in the borough. I was educated and worked in Gateshead so am aware of residents needs and aspirations related to these areas. I worked in the Engineering industry before moving on to work in the Construction industry then Housing. I left full-time employment for some time to enter into full-time education, gaining a BA Hons Degree in Combined Studies in Cultural and Social Studies, and afterwards a Post-Graduate Diploma in Housing Management and Social Policy. I am a member of GMB and AMICUS trade unions. I entered into politics because I believe that the people of Gateshead deserve nothing but the best possible public service provision. This can only be achieved by getting involved in the decision making process. I am a Governor of St Wilfred's School. 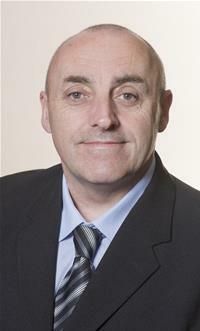 I also represent the Council on a number of outside bodies including Tyne and Wear Pensions Committee. My main interests are housing provision, education and the sustainability of Gateshead's Communities.